Hello! Friends how is June treating you? These days the weather is so so hot, make sure you keep yourself hydrated. Drink more water and if possible bring your own bottle instead of buying water from the convenient store or supermarket. Make sure that the water bottle that you are using is safe for reuse, BPA free and non-toxic. I usually carry a water bottle in my handbag if I can. Recently, I bought more water bottles from BROS e-Store and all items were delivered to my doorstep in tip top condition within 48 hours. Well, as you know I love to shop online especially at night muahaha… Because online shopping is so syoik, I don’t have to leave my comfortable zone (home), the hassle of driving out, stuck in the traffic jam, fight for car parks and etc. I can shop anytime, anywhere and get better deals than buy from the shop. 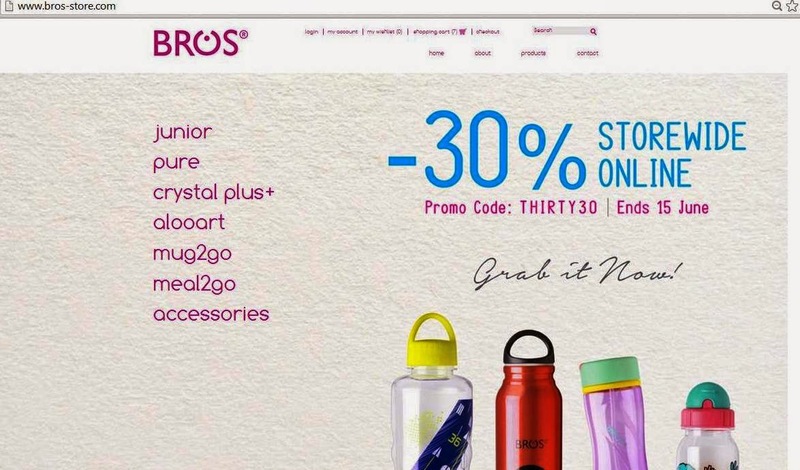 BROS is known for its reusable and refillable water bottles because it is safety, superior quality, innovative design and reasonable price since 2004. My family and I have been using BROS bottles for quite some time already and the bottle last till now. 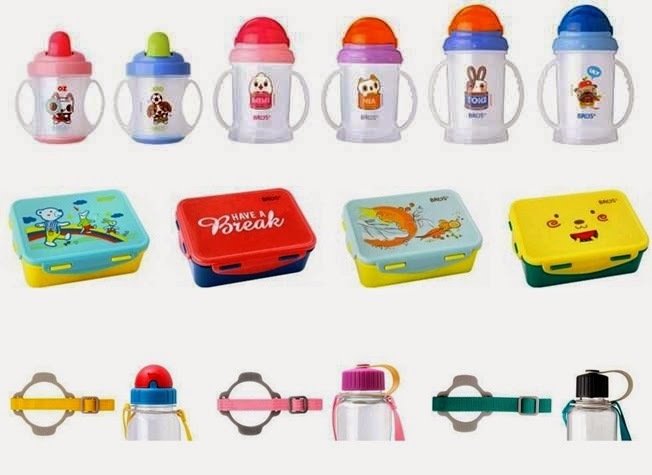 Throughout the years, BROS has developed and launched several ranges of products such as Crystal Plus+, Pure, Alooart, Mug2go, Junior, Meal2Go and also accessories for the bottles. These are all mine BROS water bottles! This round of purchase, I chose most of the big Crystal Plus+ bottles like those 1600ml because I can use it to store drinking water instead of using the normal mineral water bottle that we buy from the supermarket. All BROS Crystal Plus+ water bottle are BPA-free, eco-friendly, clear and stain-resistant. Its design for easy grip and the cap is tight to ensure there is no water dripping or leakage. I chose BRO bottles because its safe plastic and non-toxic to reuse and refill. BROS water bottle can be my drinking measurement. I should drink about 2000ml of water per day. I get free water with BROS because every time you fill up your water bottle at home or in the office you are paying almost nothing. I can help to save Mother Earth from 1.5 million tons of plastic waste per year. Last but not least, the cool design and nice artwork to carry around. 2. Login and if you are a new user you have to create a new account by filling the simple information. 3. Start choosing the items that you desired and Add to Cart. The product features, description, stock availability and price are clearly stated. 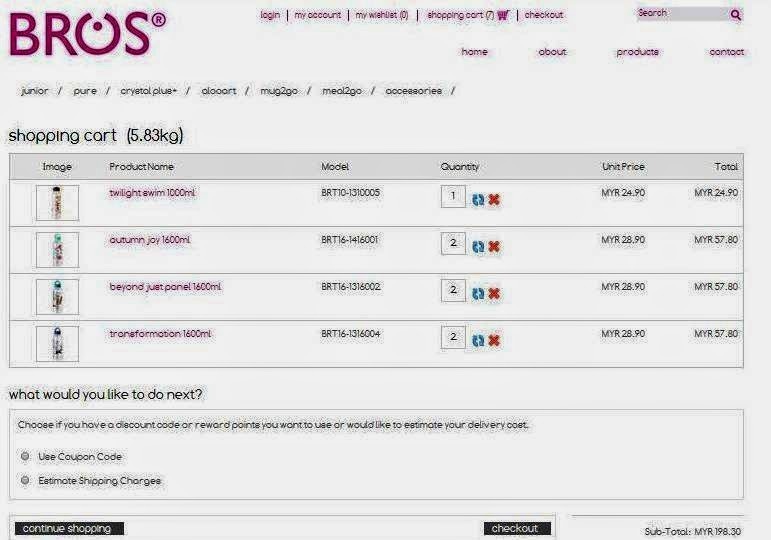 If you are buying the accessories there is a Video Feature which demonstrates the step-by-step of the product usage. 4. The Shopping Cart menu will shows the product that you have selected, if you still want to shop then click Continue Shopping and if you are done click Checkout. Before you check out there are 2 things you must do, look out for the “What would you like to do next?” communication box choose if you have a discount code or reward points you want to use or would like to estimate your delivery cost. Click the first button and enter your discount code / promo code. Then click the second button to check the delivery charges. 5. If satisfied with everything you can Checkout, fill in your delivery details, confirm the order and make payment. It is quick, easy and secure. For orders from Malaysia, please allow up to 2 to 5 business days to receive your purchase. For orders out of Malaysia, please allow 18 to 30 business days to receive your purchase. 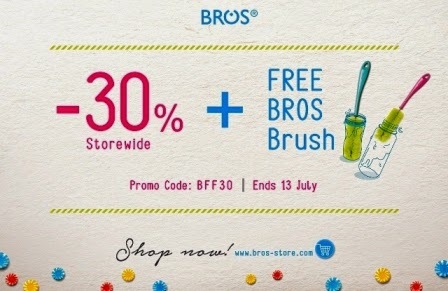 In conjunction with BROS 10th Anniversary this year, BROS E-Store will be having 30% discount storewide from 26th May till 15th June 2014. So you have to key in the code THIRTY30 before you check out. Ok, in case you missed out the earlier promotion don’t worry, here I have a more rewarding promotion code for you. To all my readers, followers and fans you can enter the code BFF30 before you check out to get 30% discount storewide plus free cleaning brush. This promotion is valid until 13th July 2014. So do not miss this chance. You can buy it as a gift for your friends, family or your own use. Love Bros bottles and their designs! Hi Ai Leen, the most important things - the bottles are safe for reuse and prices are reasonable too.